The large plaza in front of the station was also completely reworked and construction is finishing on a section of EK Galylord Boulevard that fronts the old train depot. 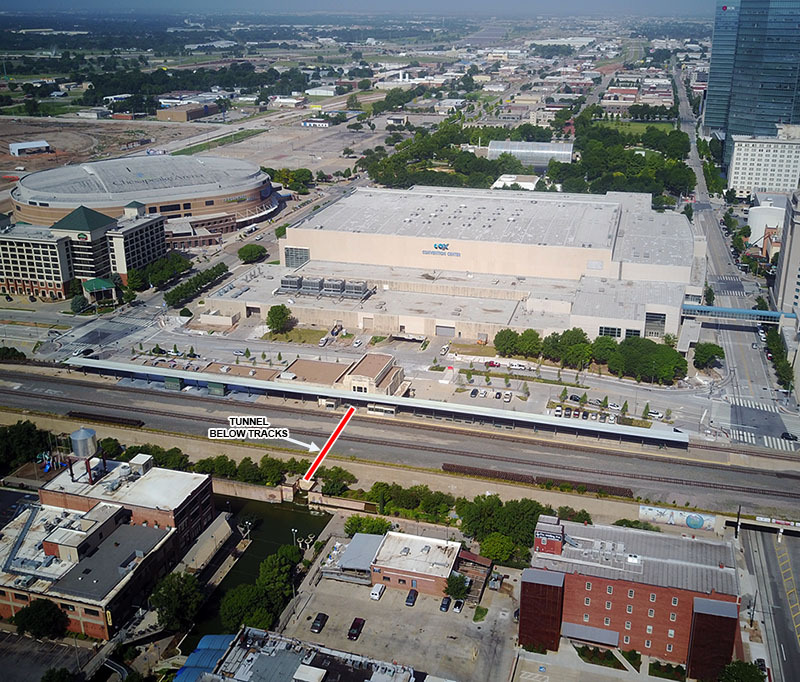 Today, the city filed a $6.6 million building permit applicaiton for the next phase of this project which will involve tunneling under the railroad tracks and directly connecting the station to the western end of Bricktown. The original timeline called for the tunnel to already be completed but there were long delays due to obtaining the required permission from BNSF railroad. 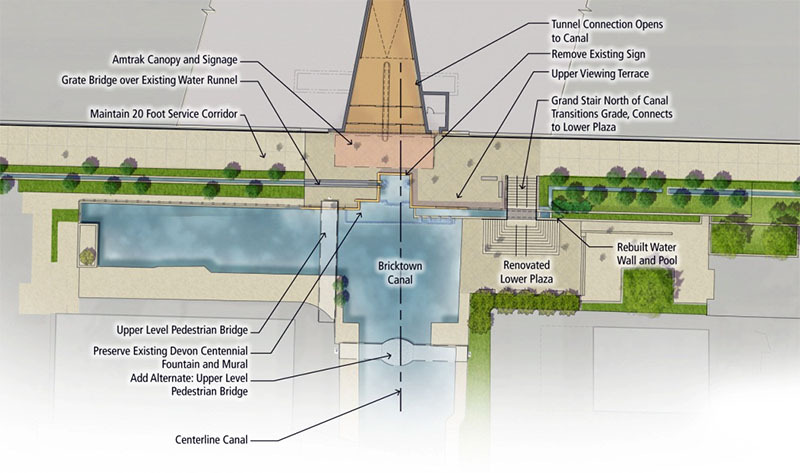 The project will take over a year and then lead to the final phase, a large plaza as you exit the tunnel overlooking the western terminus of the Bricktown Canal. 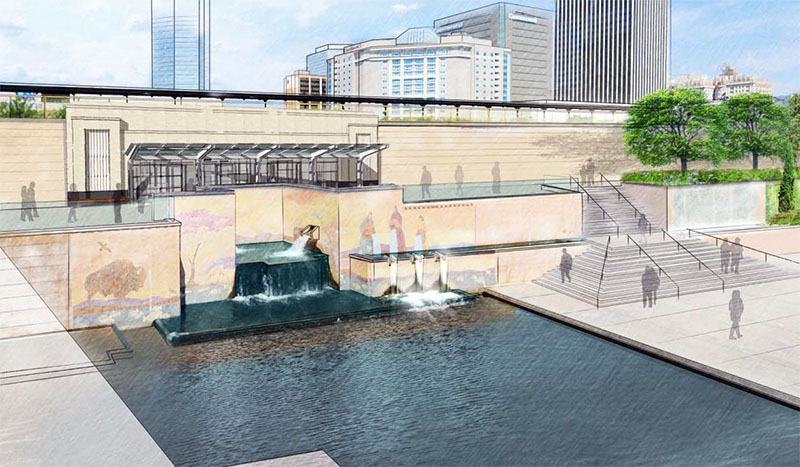 The long-term plan is for the Cox Convention Center to be demolished to allow for the expansion of the Central Business District to the south. 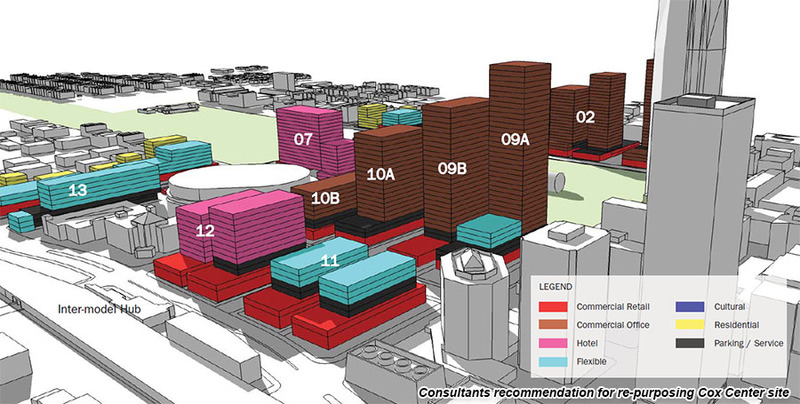 The city commissioned a study to determine the highest and best use of the property as the new MAPS 3 convention center – now under construction and slated for 2020 completion – will render the Cox Center redundant. 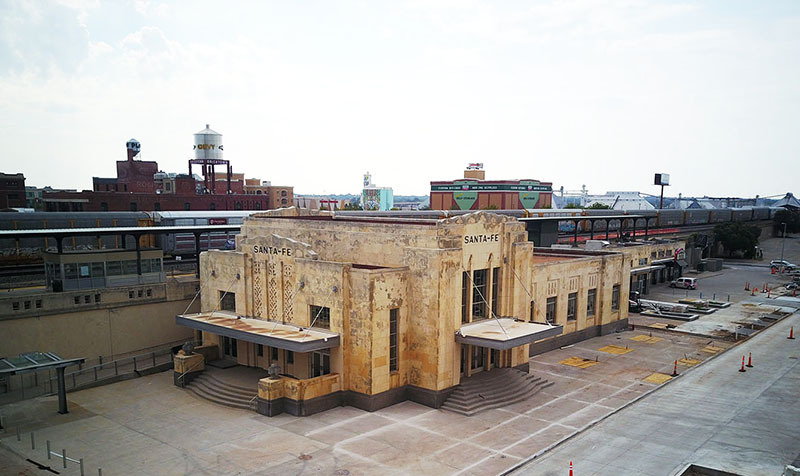 Particularly if the Cox Center is pulled down and made available for private development, Santa Fe Station will be an even more prominent gateway to Bricktown, and the tunnel would serve as a link to the central business district. Currently Santa Fe Station serves Amtrak trains but in the longer term it is envisioned as a true multi-modal hub, with commuter rail, busses and a future street car stop. The entire Santa Fe Station project is budgeted at $28.4 million and work should start on the tunnel this August.